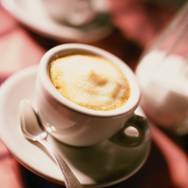 Welcome to The Living Life Café where your life lessons and wisdom can be shared. We would like to know what has helped you overcome challenges you have faced in life. We know there is a vast caring, community that has triumphed over tremendous struggles and would like to share their wisdom with others. 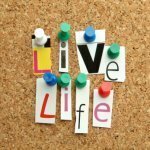 We have created The Living Life Café as a place where we will post topics of special interest to women. We would like your input on how you dealt with the issue and what you learned from the experience. We will summarize the results anonymously and post them in an upcoming blog related to the topic. Our goal is for other women to be energized and encouraged from what is shared in the café. This is the grand opening of the Living Life Café and we look forward to hearing from you. Here are the tips we received from our previous Café question, "How do you stay healthy and motivated during the winter?" The winter is a season when everyone want to just stay in and hibernate. I know I am one of them. After a long days work all I want to do is go home and rest but I know in order to stay in shape and be healthy I have to do some type of exercise. The first 10 days of Nov, Dec, Jan, Feb and March I do a green smoothie cleanse to keep my system clean and eat lots of fruits and vegetable along with tuna and fish. Every morning I get up and walk in place for 5 minutes, 50-60 squats with leg and arm lifts. I do all of this within 20 minutes to get my heart rate up. I also try to get a 10-20 walk in at work throughout the day to keep my system flowing. Last but not lease I drink detox tea in the morning and at night before going to bed and lots of water. We have a new Living Life Café topic as we see spring just around the corner. Time to look at how we approach bringing joy into our life by dealing with negative people. How do you handle and deal with negative people in your life?